Sail the seas of adventure with Flip-Mat Classics: Pirate Ship, a gorgeous double-sided battle-scale map. One side shows a pirate ship alongside another vessel, ready for boarding action, while the flip side shows the decks of a pirate ship, including cannons, sleeping quarters, cargo holds, and more. Chart a route to adventure with Flip-Mat Classics: Pirate Ship! The most-popular Pathfinder Flip-Mats in history return! These fan-favorite maps feature versatile adventure settings—city streets, forests, ships, taverns, and more—and now they're back for a repeat performance. Durable and lavishly detailed, these essential adventure set pieces are sure to bring excitement to your game table for years to come! A special coating on each Flip-Mat allows you to use wet erase, dry erase, AND permanent markers with ease! Removing permanent ink is easy—simply trace over any permanent mark with a dry erase marker, wait 10 seconds, then wipe off both marks with a dry cloth or paper towel. Each Flip-Mat measures 24" x 30" unfolded, and 8" x 10" folded. 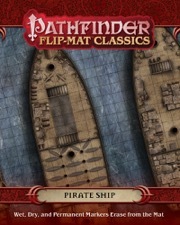 Note: Flip-Mat Classics are not included in the Pathfinder Maps Subscription. 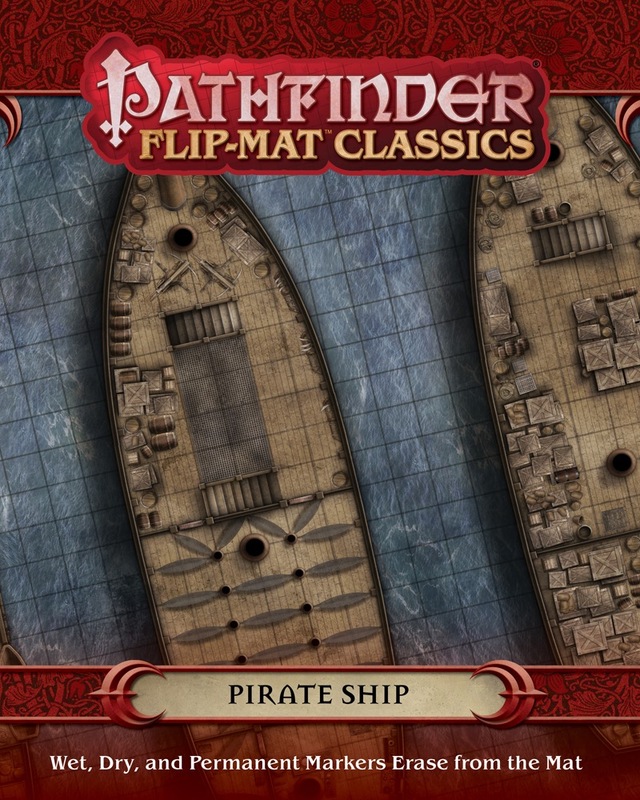 Pathfinder Maps Subscribers who preorder Flip-Mat Classics: Pirate Ship will receive a free PDF when their physical copy ships. Announced for December! Image and description are provisional and subject to change prior to release. 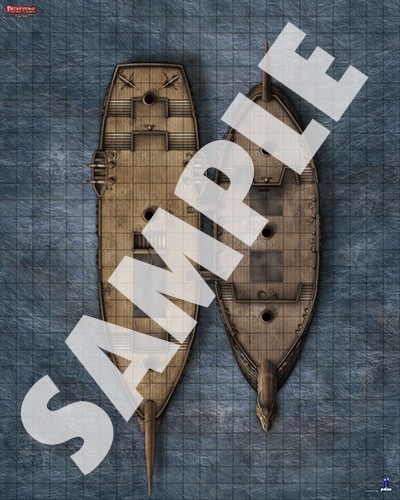 Will the old GameMastery Map pack: Ships Cabins be re-released to go with this? We don't reprint Map Packs. When you pre order do the PDF's come with the pre order? Subscribers who preorder Flip-Mat Classics: Pirate Ship will receive a free PDF when their physical copy ships. So provided your maps subscription is “activated” (ie you’ve received at least one subscription item already) you should be good to go. EDIT: that quote is meant to read as me citing my source. Once I posted it, I realised it might have come across ruder than I intended. Glad this is being reprinted. It will go nicely with my cabins map pack.